Scoping on the perceptions and the thresholds of listening, by questioning the radical margin between consonance and dissonance, silence and noise. Interested in enlarging the understanding of oriental aesthetic by taking it to a post-music territory, where the musical structures are de-composed to the notions of sounds. Alongside the visuals, his performances use electronic and acoustic instruments to form a sonic narration, to dance the mind instead of the body. 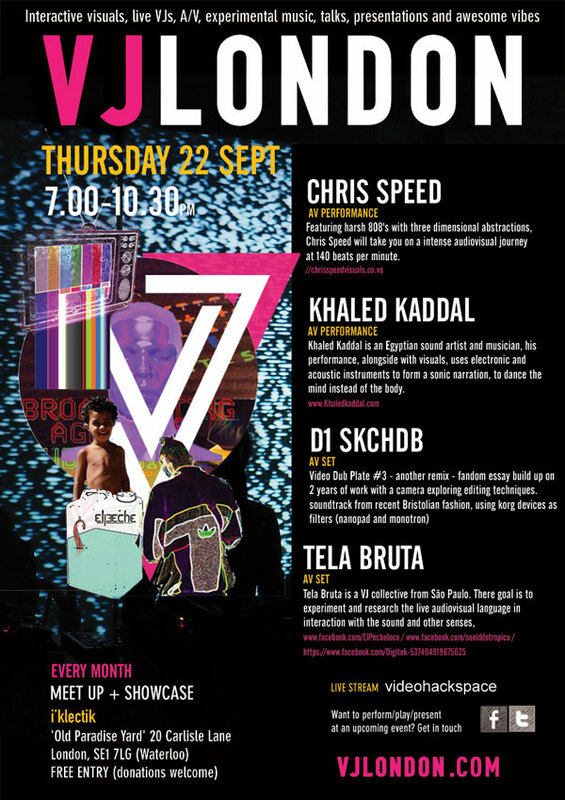 Khaled Kaddal is an Egyptian sound artist and musician, currently based in London and studying sound art in University of the Art London (UAL). React_ : Dynamic visual performance reacting to 140 beats per minute. Chris Speed is a visual artist based in London who works within the field of motion graphics. Starting with analogue hacking for video synthesis, his workflow has evolved to include 3D design in generating virtual environments/characters. 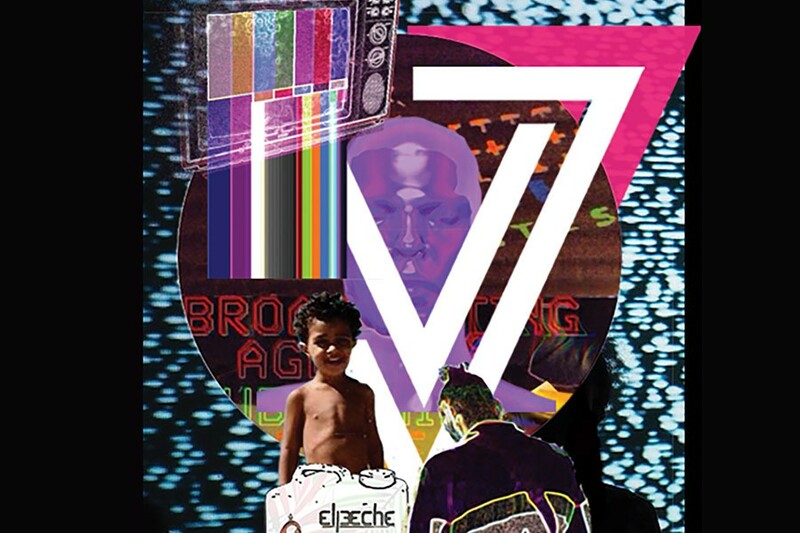 Tela Bruta is a VJ collective from São Paulo. There goal is to experiment and research the live audiovisual language in interaction with the sound and other senses, seeking for a synaesthesic experience, where they main space of action is in underground electronic parties, but not only.